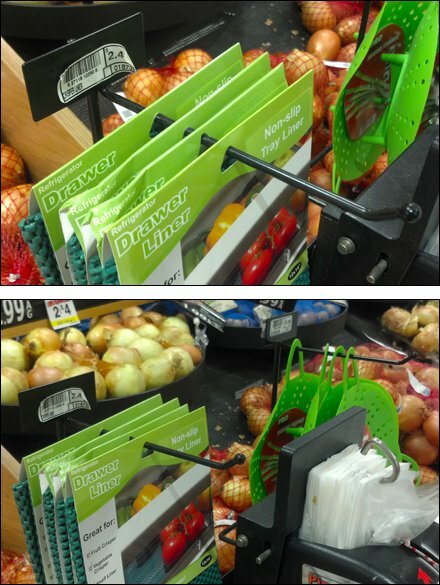 You know the customer has to turn to the bag dispenser to buy a needed item. Why not present other sales ideas at that touchpoint? 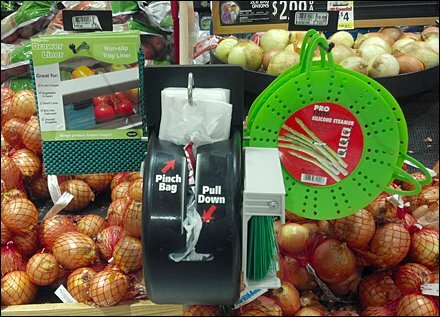 This produce bag dispenser does just that with two outrigger Display Hooks and Metal Plate Label Holders. CLICK the thumbnail for a better look at how it is configured than can be determined from a dead-on front view. SEARCH “Amenity” for convenience concepts to cater to customer needs.